When former Big Brother Africa representative C.O and his younger brother first emerged on the scene with their debut album Tradistic Soul (recording as a group Kaprintiya) not too many people fully understood what they were really meaning. C.O and his brother both coming from a deep history of R&B and soul music (remember C.O used to host the country’s number one lovers show on Power 101FM, Mellow Moods) had the listener confused of what really is ‘Tradistic Soul’, but the release of his recent single ‘Kumadziore’ has defined the true meaning. 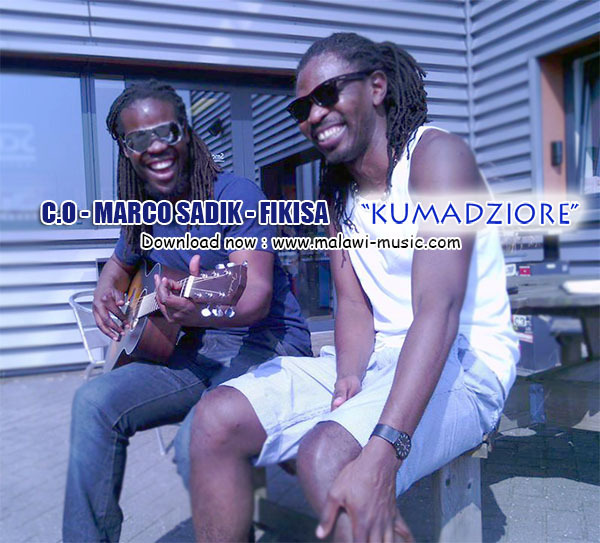 Kumadziore is a traditional folk song that embraces a generic local drumming escorted by a rumba pattern guitar. Listening to this song will remind you of the classic hits from the late 90’s from the likes of the Malawi Police Orchestra or Thukuta Band, and to realize that the instrumentation is completely live you have to salute C.O for taking a risk in these music times where 95% of what makes it to the main stream is digitally imitated or enhanced, but C.O managed to keep everything authentically original in his theme and instrumentation (Traditional) and very soulful with his vocals (soul), thus giving us ‘Tradistic Soul’ music. Next articleSkeffa Sells 7000 CDs In One Weekend!